What is the Olweus Bullying Prevention Program (OBPP)? These goals are pursued by restructuring the school environment to reduce opportunities and rewards for bullying, encouraging pro-social behaviors, and building a sense of community. The OBPP is designed for students in elementary, middle, and high schools and involves all staff, students, parents, and the community in bullying prevention efforts. 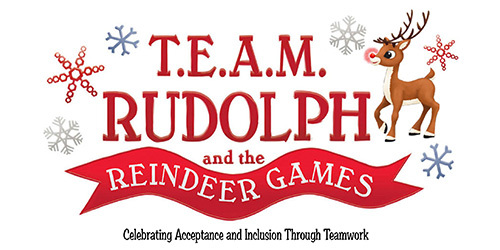 All students participate in most aspects of the program, while students who bully others and students who are bullied receive additional individualized interventions. OBPP is used at the school, classroom, individual, and community levels and includes tools to reach out to parents for involvement and support. The OBPP addresses the problem of bullying at multiple levels. "Blueprints Certified: Meeting the highest standards of evidence through independent review by the nation's top scientists." The OBPP is backed by over 30 years of research and is listed on Blueprints for Healthy Youth Development Registry of Evidence-based Positive Youth Development Programs http://www.blueprintsprograms.com/factsheet/olweus-bullying-prevention-program. Evidence-based bullying prevention programs are a wise investment. A cost benefit analysis of the OBPP implementation found that a district can recover more than the cost of OBPP implementation if they prevent just two students from transferring to an alternative setting due to school bullying. The start-up costs for the OBPP are one-time expenses that occur only in year one of implementation. Ongoing implementation results in lower costs in subsequent years where it is important to budget for ongoing training and other activities that will keep your staff’s commitment to the program running high. Successful implementation of the program begins with training and consultation. Ongoing telephone consultation for at least one full school year (18-24 months preferred) with a Certified OBPP Trainer-Consultant. There are two options when considering OBPP training for your school and/or district. Find a Certified Trainer-Consultant by clicking here. If you are considering training more than three school buildings, you may find it more cost effective to have someone from your school or district become a Certified OBPP Trainer-Consultant. Click here to learn more about the certification process and to apply to attend a Trainer Certification Course. The Hazelden Betty Ford Foundation is the leading publisher of evidence-based prevention programs and the exclusive publisher of the OBPP. Visit Violence Prevention Works! for information about program materials. Adults in school need to show warmth, positive interest, and involvement. Set firm limits for unacceptable behavior. Consistently use supportive, predictable consequences when unacceptable behavior occurs. Adults in the school should act as authorities and positive role models. These principles have been translated to a number of strategies that are implemented at the schoolwide, classroom, individual, and community levels and includes tools to reach out to parents for involvement and support. What are the goals of the OBPP? • To reduce existing bullying problems among students. • To prevent the development of new bullying problems. • To achieve better peer relations at school. These goals are pursued by restructuring the school environment to reduce opportunities and rewards for bullying, encouraging pro-social behaviors, and building a sense of community. What grade levels is the OBPP designed for? The OBPP is designed for students in elementary, middle, and high schools (students ages five to eighteen years old). All students participate in the universal aspects of the program, while students identified as bullying others, or as students being bullied, receive additional individualized interventions. Is the OBPP an evidence-based program? Yes, the OBPP is an evidence-based program. It is listed as a Promising Program on the Blueprints for Healthy Youth Development Registry of Evidence-based Positive Youth Development Programs. The OBPP is backed by over 35 years of research and incorporates what researchers and practitioners have identified as best practices in bullying prevention. Learn more about Why the OBPP Works. Has the OBPP been proven to be effective? OBPP has over 35 years of research and successful implementation all over the world. Seven large-scale evaluations of the OBPP have been carried out in Norway with very positive effects. Studies of the OBPP in the U.S. have also produced encouraging results. In a recent evaluation of a large scale implementation of the OBPP in the U.S. there were significant decreases in being bullied and in bullying others over three years. Other program effects were also documented: There were increases in students’ expressions of empathy with bullied peers, decreases in students’ willingness to join in bullying, and increases in perceptions that their primary teacher had addressed bullying at the school. Overall, the program effects were stronger the longer the program had been in place. In May 2016, The National Academies of Sciences, Engineering, and Medicine released a new report, Preventing Bullying through Science, Policy, and Practice. The report emphasizes that “the most likely effective bullying prevention programs are whole school, multicomponent programs that combine elements of universal and targeted strategies.” They also noted that the Olweus Bullying Prevention Program is “the most extensively studied bullying prevention program” of this type. In a meta-analyses that is widely recognized as the most comprehensive and rigorous meta-analyses on bullying prevention programs, Ttofi & Farrington found that whole-school programs can be successful in reducing bullying but there are great variations in the effects of different programs. Researchers concluded that that programs “inspired by the work of Dan Olweus worked best” (Ttofi et al., 2008, p. 69) and that future efforts should be “grounded in the successful Olweus programme” (p.72). Is the OBPP effective at the high school level? Yes, the OBPP is designed for students in elementary, middle, and high school and research has been conducted at all levels. A U.S. study of a large-scale implementation of the Olweus Bullying Prevention Program with children and youth in grades 3-11 showed decreases in being bullied and bullying others observed for boys and girls in grades 9-11. Program effects generally took somewhat longer to appear for older students. How do I request permission to use the OBQ data for research purposes? Complete the Request to Use OBQ data for Research Purposes and submit by email to Lydia Arneson who will process your request. Once your request has been reviewed and approved, Hazelden Publishing will email the “Sample OBQ data” to the contact person listed on the request. How does my school begin implementing the OBPP? A 2-day training offered to members of a school's Bullying Prevention Coordinating Committee (BPCC). Trainings are conducted by OBPP Certified Trainers-Consultants. Ongoing telephone consultation for at least one full school year (18-24 months preferred) with an OBPP Certified Trainer-Consultant. School personnel may either locate an existing OBPP Certified Trainer-Consultant or have school personnel attend an Olweus Trainer Certification Course. What if we have more than one school to train? Often if you have three or more schools that will be implementing the OBPP, it is more cost efficient to have someone from the district attend a Trainer Certification Course. This will allow for multiple schools to be trained and promotes sustainability with ongoing in-house support throughout program implementation. Large districts may want to consider an OBPP Integrated Model that includes training, program materials, and project management. For help deciding what is best for your schools, please contact the OBPP Training-Consultation Coordinator, June Jenkins. How can I find a local certified trainer? Click here to find a listing of OBPP Certified Trainers-Consultants. Trainers-Consultants are listed in the state or country where they reside. How do I become an OBPP certified Trainer-Consultant? Those interested in becoming an OBPP certified Trainer-Consultant must attend a Trainer Certification Course and meet all Trainer-Consultant certification requirements. Apply to attend a Trainer Certification Course by clicking here. Can you tell me more about the trainer certification process? The OBPP Trainer Certification Course requires 40 total hours of training over approximately 24 months. The course is divided into Part One (28 hours) and Part Two (12 hours). Participants will be provisionally certified as a Trainer- Consultant upon completion of Part One, but must complete both parts. Training is offered both in-person and in a blended learning format. In addition to successful completion of the Trainer Certification Course, provisionally certified Trainer-Consultants must participate in regular phone consultation with an assigned Olweus Technical Assistance Consultant (OTAC) for 12 to 16 hours over the course of 24 months, submit online progress reports for each school/site that has been trained and is receiving ongoing consultation, and submit copies of evaluations of all trainings conducted during the provisional certification period. What are the qualifications for becoming an OBPP certified Trainer-Consultant? Most individuals attending a Trainer Certification Course have a minimum of a bachelor’s degree and are working in a setting where they will have the opportunity to do the training and the time in their schedule to do regular consultation with the site(s) they train. Participants are also experienced or willing to become experienced with training adults. How much does it cost to become a certified Trainer-Consultant? What is the agenda for the Trainer Certification Course? Phase 1 provides an overview of bullying and the foundation of prevention: what is bullying, how it effects students and the school, and common mistakes made in trying to prevent it. Phase 3 is helping the Bullying Prevention Coordinating Committee starts developing their own plan to get these principles and practices into place in their building. Sharpening consultation skills for sustaining the OBPP with fidelity. Using and understanding data to inform practices. Aligning OBPP with other school climate reform. 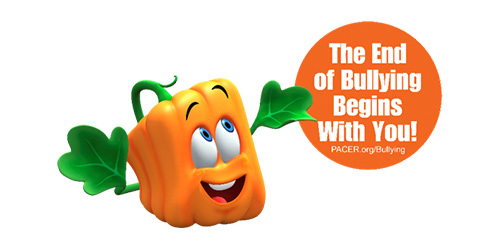 Incorporating cyberbullying into bullying prevention practice. Interpreting how OBPP updates influence current practice. When and where are your trainings scheduled? The OBPP Training Certification Course is offered several times per year in Greenville, South Carolina. Courses are also offered at sites around the United States. A complete schedule of upcoming Training Certification Courses is available here. How can we bring the Trainer Certification Course to our location? The OBPP can come to you! If you have a would like to host a Trainer Certification Course in your state, please contact Jane Riese, Associate Director of Safe and Humane Schools. How much does it cost to implement the OBPP? Consultant rates will vary but cannot be more than $3,000 for a 2 day committee training plus up to $125/hour/school for the consultation that follows. If your district has more than three school buildings, it may be more cost effective to have someone from your school district become an OBPP Certified Trainer-Consultant. The Trainer Certification Course registration fee is $3,925. The program material costs listed below are standard costs for hard copy materials. Bulk discounts are available as well as electronic formats. Contact Hazelden Publishing for information on electronic options and exact price quotes. 1-800-328-9000. Olweus Bullying Questionnaire (OBQ) - Each student grades 3-12. $43.95 for 30 scannable surveys with scanning service. Class Meeting and Individual Intervention DVD for elementary, middle, and high school. This DVD is used for BPCC, staff and parent training. $214.95. Are there ongoing costs to keep the OBPP in place? The start-up costs for the OBPP program including training and program materials are one-time expenses that occur only in the first year of implementation. All required materials are purchased the first year. Some schools purchase optional recommended program materials the second year of implementation, others purchase all materials during year one. Ongoing implementation results in lower costs in subsequent years and will vary depending on whether a school has purchased printed program materials or an electronic subscription. Ongoing costs may include the recommended annual survey of students using the Olweus Bullying Questionnaire (OBQ) and renewal of the electronic subscription for program materials every 3 years (includes the OBQ). Sustainability costs may involve training each year for new school administrators, educators, staff and parents if conducted by someone outside the district. How do I get a price quote on materials for my school(s)? The Hazelden Betty Ford Foundation is the leading publisher of evidence-based prevention programs and the exclusive publisher of the OBPP. Descriptions and pricing for implementation resources, the Olweus Bullying Questionnaire, classroom curriculum, and supplemental resources can be found on their website. For package options and pricing, contact your regional Hazelden sales representative or call (800) 328-9000. Are there grants or other suggested funding sources for OBPP training and implementation? Grants, whether federal, state, local, or from the foundation community can be used for training and implementation of the OBPP. Resources to assist with grant funding include the Hazelden Publishing website, a Funding Backpack listing possible funding sources and A Funding Toolkit to help develop grant proposals. How can I donate or support the OBPP? How do I get permission to print something from the program materials or use the Hazelden and/or Olweus logo? For answers to your questions about OBPP copyright or submitting permission requests, please access www.copyright.com or contact Copyright Clearance Center, Inc. (CCC), 222 Rosewood Drive, Danvers, MA 01923, 978-750-8400. CCC is a not-for-profit organization that provides licenses and registration for a variety of uses. If you have questions or concerns about guidelines not being followed, please contact Hazelden Publishing’s permissions department at 651-213-4000.